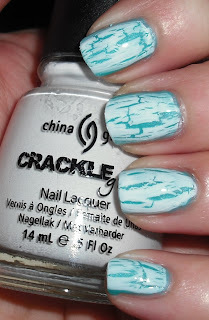 I swear, for someone who was pretty indifferent to crackles I become a devoted fan. I started out only liking the black crackle, then I moved on to the white. Now, I want all the other colors, but they're old sold out on all e-tailers so I'll have to hold off and hope they get more in. 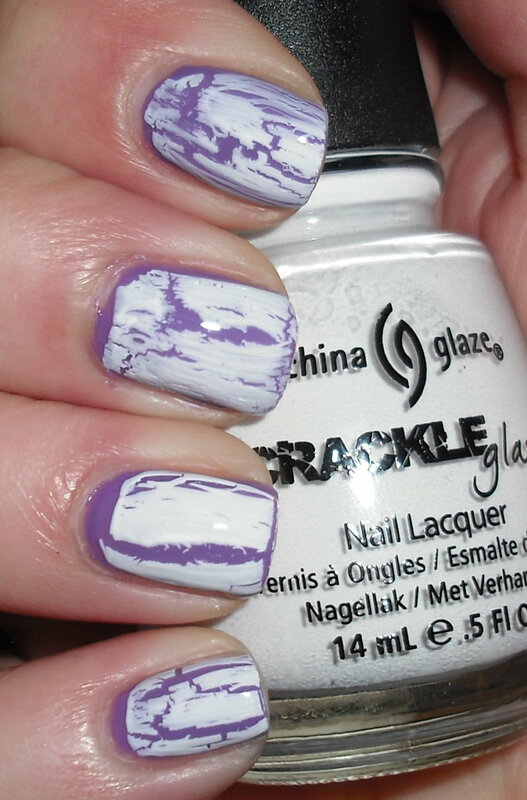 Today, I have the white China Glaze crackle for you. Lightning Bolt is a white creme crackle. I initially didn't care for this one, but I really love it over bright or pastel colors. I think the black crackle formula is a bit better, but this is nice too. I do notice with this one where the polish "cracks" there is slight white overcast over the color underneath in some spots. This could be my own application fault though. It's not very noticable though, and I really like the effect! I love this over Ocean Waves! So perfect for the beach! 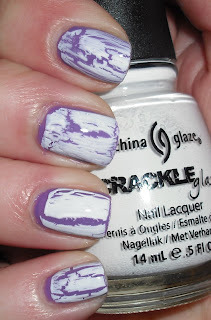 The white crackle over the vibrant spring colors make them very interesting. Love it!! OMG I looooove it over the Savina shade. It looks like ocean waves breaking. You need the other crackles. I'm most indifferent toward Fault Line because it doesnt crackle as well but it still awesome. They are all awesome! I haven't tried the Lightning Bolt yet, I need to do that. I really love it over the brighter shades you've shown here. If you haven't done it already, consider stopping by my blog to enter my Katy Perry collection give away. I agree with you I like the black one better too. I found this one, didn't crack as much. Great to find your blog..following you now.